Harold William Bouknight, 94, passed away Friday, November 9, 2018. Funeral services for Mr. Bouknight will be held at St. Paul's Lutheran Church, Gilbert, at 2:00 p.m. Sunday, November 11, 2018 with visitation 1 hour prior to the service in the sanctuary. Burial will follow at St. Paul's Priceville Road Cemetery. Pallbearers will include step-grandsons; Eugene Powell, III, Scott Powell, and John Powell. Honorary Pallbearers will be members of The Senior Adult Sunday School Class. Mr. Bouknight was born in Columbia on November 23, 1923. He was the son of the late Joseph Tilman and Gladys Lorick Bouknight. He graduated from Columbia High School. He was employed in clerical administrative work at Fort Jackson. On April 10, 1943, Mr. Bouknight was drafted to serve his country in World War II. He served in Northern Africa in aircraft operations. He also served in Iran and Egypt. His awards and decorations included the European African Middle Eastern Service Medal, American Theater Service Medal, Good Conduct Medal, 3 Overseas Service Bars, and a World War II Victory Campaign Medal. He received an honorable discharge as a Staff Sergeant on December 13, 1945. He returned to his former Civil Service position at Fort Jackson where he served 37.5 years. 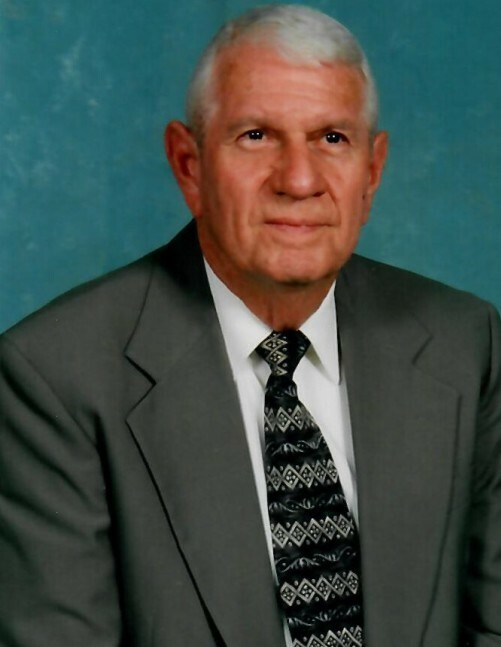 Mr. Bouknight was a very active member of the church where he was a member during his lifetime. At St. Paul's, he was a loyal volunteer with the newsletter and bulletins. He was awarded a lifetime membership in South Carolina Lutheran Men. He was a member of The Lutheran Men in Mission Committee of 100. He gave freely of his time, talent and resources. Mr. Bouknight was a devoted husband and friend. He took great pleasure in sharing with his family, his church, his friends and volunteer work. He was predeceased by his loving wife of 30 years, Marjorie Amelia Davis Bouknight. Surviving are his step-son, O. Eugene Powell, Jr. (Mary Lou), step-grandsons, Eugene Powell, III (Heidi), Scott Powell (Robin), and John Powell, and 7 step-great-grandchildren. He was predeceased by his brother, Joseph Tilman Bouknight, Jr., and sister, Grace Elizabeth Edelmann. In lieu of flowers, memorials may be made to St. Paul's Church Priceville Road Cemetery.